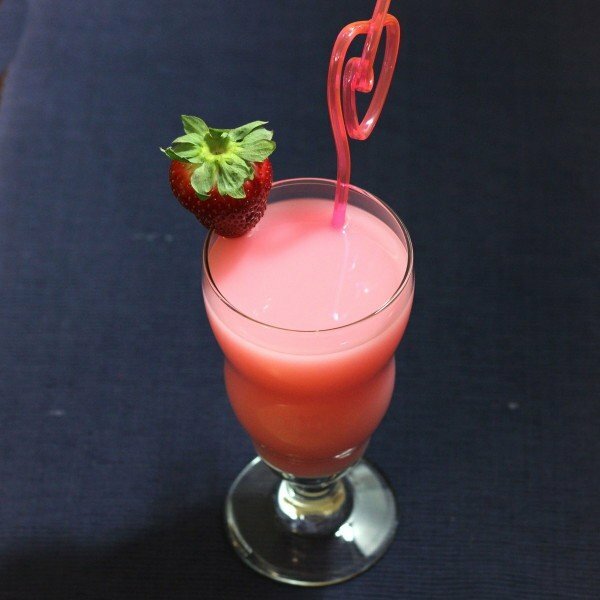 The Strawberry Quick cocktail is named after a drink powder (Strawberry Quik) that you stir into milk to make pink, strawberry flavored milk. This is obviously the grown up version. This drink is quite sweet, smooth and easy to drink. The strawberry schnapps is the strongest liquor in it, and the milk mellows out what otherwise might be a bit of a flavor assault. This is a fun drink for anytime you want to feel like a kid. Pour ingredients into a tall glass. Stir until pink. Garnish with a strawberry, if in season.